Wondering how your favorite teams around the league did? Check it out! This post is part of our inaugural Park Week Series: Long Beach is for Park Lovers. This week, we will be celebrating parks and open space in the city and beyond. To see all posts for this series, click here. Photos above by Baktaash Sorkhabi. To view them all, scroll through the gallery above. Additional reporting by Brian Addison. For over 50 years, Long Beach youth have been able to spend their summer months building and racing model boats at the Colorado Lagoon Model Boat Shop. This unique youth summer program began in 1948 when locals Rod Ogilby and Clyde W. Ellerman opened and operated the East Long Beach shop. Residents and visitors would gather each summer and watch the model boats race in the Lagoon, as seen in this undated historic photograph courtesy Long Beach Library. The Lagoon’s popularity as a swimming site and recreation facility diminished after water circulation was impaired in the 1960s when the open channel was replaced by a 900-foot long underground culvert for a never-realized freeway. This negatively impacted the Model Boat Shop and Ellerman eventually retired and closed operations in 1978. His daughter, Ann Pike, spent many childhood summer days in the model boat workshop with her dad and her passion for the craft motivated her to reopen her father’s legacy to the city. Ann has been running the Model Boat Shop and summer workshops for youth since the summer of 1982. She has kept the tradition alive in her family as her two daughters both work the shop in the summer. This year’s eight-week workshop is well underway, and the kids are excited to race there completed boats August 11th in the Annual International Sea Festival Clyde W. Ellerman Memorial Model Boat Regatta, named after Ann Pike’s father who first envisioned this great summer recreation program to Long Beach decades ago. This follows the Lagoon’s overall restoration to return the area to its glory days. What was once a beaming jewel of the city, it was home to the 1932 U.S. Olympic trials, where its transformation for the trials disconnected it from Alamitos Bay via the creation of Colorado Street and subsequent bridge over the tidal connection. In the 1960s, an underground culvert was created but prevented full tide drainage and following the many storm drains which dump into the lagoon, led to its pollution. The Colorado Lagoon was long listed as one of the state’s most polluted water bodies, with elevated levels of harmful chemicals and bacteria. However, community-led efforts led to millions of dollars in reinvestment and restoration that has been on-going since 2008. This May marked the third—though not final—phase of its restoration following a $3.2M dredging project that had left the area fenced up for months. 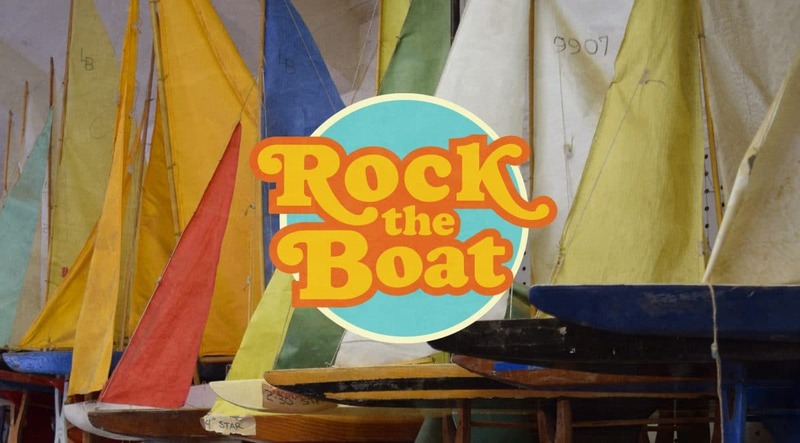 Click here to visit the Long Beach Parks and Recreation website for more information about the Model Boat shop, summer youth workshops, and annual Regatta.